"The Entablatures represent my response to Minimalism and the art of Donald Judd and Kenneth Noland. It’s my way of saying that the Greeks did repeated motifs very early on, and I am showing, in a humorous way, that Minimalism has a long history … It was essentially a way of making a Minimalist painting that has a Classical reference." 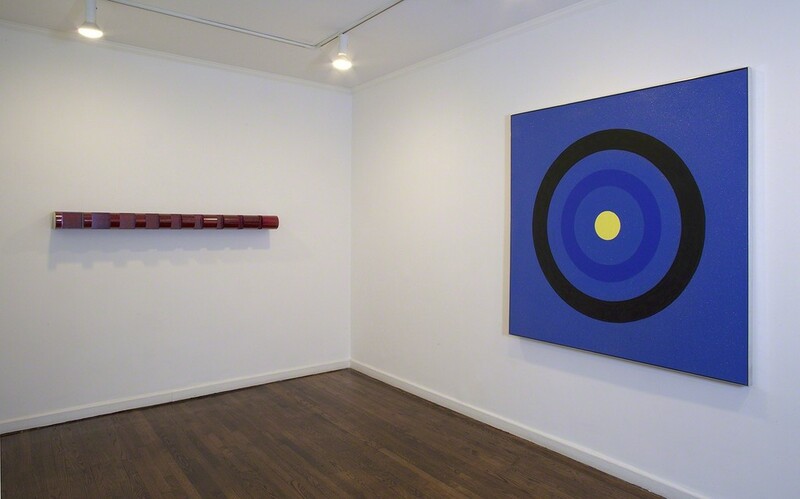 Castelli Gallery is pleased to present "Donald Judd, Roy Lichtenstein, Kenneth Noland: A Dialogue." 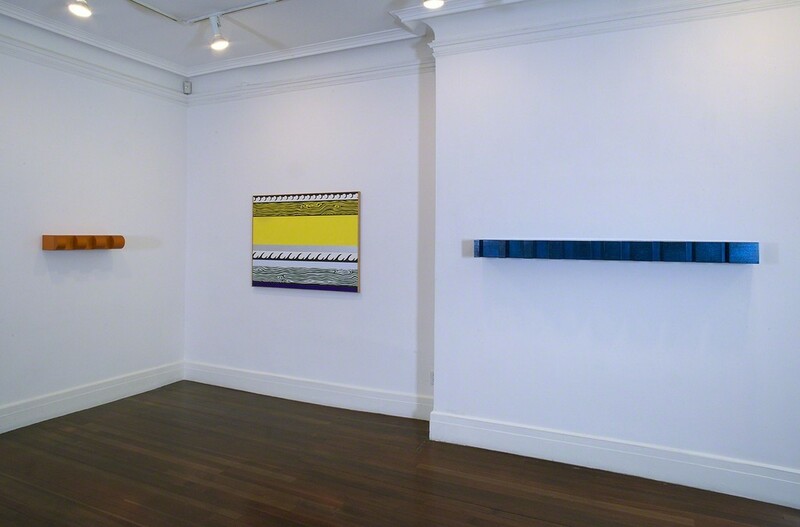 Roy Lichtenstein’s 'Entablature' paintings are exhibited together with Donald Judd’s Progressions and Kenneth Noland’s Chevrons, with the aim of opening up a conversation between three artists representative of major movements in Post-War American art: Color Field painting, Pop Art and Minimalism. Central to this dialogue is the issue of repeated form, which arose in the 60s in response to the historical ideal that high art must be a unique object as opposed to the mass-produced objects that populate everyday life. Whether through the consecutive lines of Noland’s Chevron paintings, the rhythmic notches of Judd’s Progression series, or the architectural motifs depicted in Lichtenstein’s 'Entablature' paintings, the artists featured in this exhibition each explored different approaches to the issue of repeated form. Noland and other Color Field painters reframed repetition as an attribute of fine art rather than a by-product of commercialism by using it to explore fundamental concerns in painting such as composition and color. Judd’s precise works fabricated in industrial materials such as galvanized iron exemplify the clarity and mathematical quality associated with the Minimal Art movement. Finally, in his 'Entablature' series from the 70s, Lichtenstein joins the conversation on repetition with a playful homage to his contemporaries. Castelli Gallery has had long standing relationships with all three artists. Donald Judd (1928–1994) exhibited with Castelli Gallery for two decades beginning in 1966; in 1962 Roy Lichtenstein (1923–1997) had his first solo show at Castelli, where he continued to exhibit the rest of his life; Kenneth Noland (1924–2010) likewise showed with the gallery periodically throughout his career. 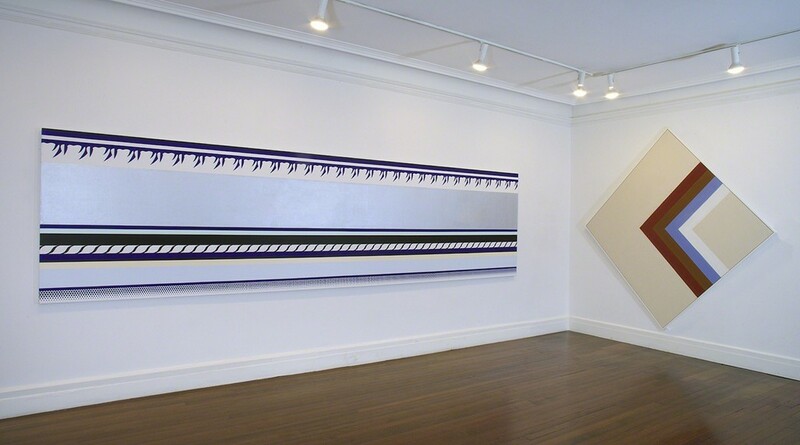 1976 was the last time the works of Judd, Lichtenstein, and Noland were shown together at Castelli Gallery.